State Representative Dan Swanson (R-Alpha) lead an effort during the House’s Fall Veto Session to override Governor Rauner’s Amendatory Veto of HB 4515- the “Lauryn Russell Lyme Disease Prevention & Protection Law”. “I disagree with the Governor’s Amendatory Veto (AV) on this legislation and today move to override that veto,” said Rep. Swanson before a unanimous 110-0 vote to override Rauner’s AV. 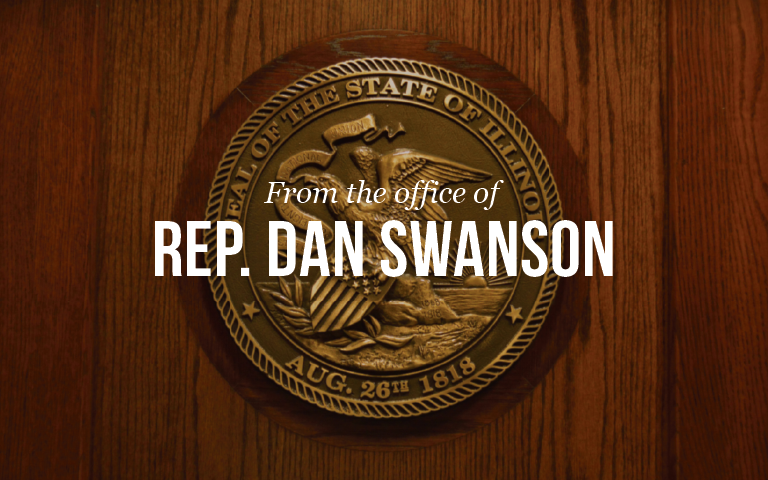 Rep. Swanson had previously passed the bill through the Illinois House in April to allow physicians to prescribe more aggressive treatment for Lyme Disease without the fear of disciplinary action. Governor Rauner issued an Amendatory Veto on the bill in August 2018, despite overwhelming support in the Illinois House when the bill passed in April. The legislation was inspired by Lauryn Russell, a 12-year-old student from Mercer County, who has Lyme Disease and has had to seek treatment out of state due to potential disciplinary action that could be taken against her Illinois physician for treating Lauryn’s post-treatment Lyme Disease Syndrome (PTLDS) or Chronic Lyme Disease. Advocates for Lyme Disease sufferers say the current recommended treatment of the disease, 10 to 21 days of antibiotics, is insufficient for people with advanced or persistent levels of the disease.